A community is powerfully uniting, as corporate greed is breaking up a massive family grocery store empire, in Shockya’s exclusive clip from the new documentary, ‘We The People: The Market Basket Effect.’ The clip follows business people and New England residents, including Lowell, Massachusetts native, Ted Leonsis, the owner of the Washington Wizards and Capitals, as they chronicle how so-called financial experts and relatives don’t always know how to best serve their neighborhood. The movie, which was honored with the Audience Award at last year’s Boston Film Festival, is currently playing in New England theaters. FilmBuff is also set to distribute the documentary into screens in New York last Friday, April 22, before it expands into theaters in L.A. this Friday, April 29. The documentary will also be released digitally on May 18. ‘We The People: The Market Basket Effect’ documents the epic battle between the warring Demoulas family, during which their billion-dollar New England-based corporation, Market Basket, was broken up by corporate greed. Thousands of employees and millions of consumers stood together to support ousted CEO, Arthur T. Demoulas, during his volatile, emotional and dramatic conflict with his arch-rival, cousin Arthur S. Demoulas. The two fought over control of the $4 billion supermarket chain. “Artie T.,” as Arthur T. was known amongst his family and friends, was supported by his community, as he was known for his strong leadership ethics and fair treatment of his workers. The family feud raged on with the livelihoods of 25,000 employees hanging in the balance. The NBTV Studios and Bungalow Media + Entertainment Film documentary is narrated by Emmy and Golden Globe Award-winning actor and Massachusetts native, Michael Chiklis. The documentary was directed and produced by ‘Danny Greene: The Rise & Fall of the Irishman’ helmer, Tommy Reid. 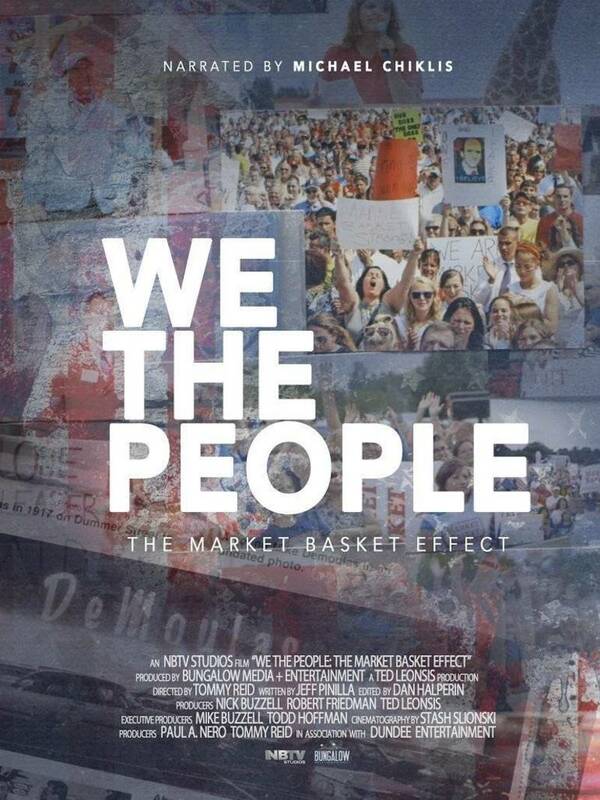 ‘We The People: The Market Basket Effect’ was written by ‘The Earth’ scribe, Jeff Pinilla. Watch Shockya’s exclusive clip from the new Reid-directed FilmBuff documentary, ‘We The People: The Market Basket Effect,’ below.